The Danish Energy Agency (DEA) has finalised seven rounds3 of applications to obtain licences to explore for hydrocarbons in the North Sea. The seventh round concluded in 2016 resulting in the award of 16 new licences. An eighth round has been initiated in 2018, with areas offered for licensing in the Central Graben and in the adjoining areas further east bounded at 6° 15' E longitude. The round will conclude on 1 February 2019. According to the DEA, it is the aim to initiate additional rounds of applications about one year after the last round finished. In addition to the licensing rounds, Danish legislation has since 1997 foreseen an open-door procedure for unlicensed areas east of 6° 15' eastern longitude. Applications may be submitted at any time between 2 January and 30 September of each year. Neither the licensing rounds nor the open-door procedure contain nationality requirements for obtaining or participating in a licence. The Danish state participates through the independent entity Nordsøfonden4 in all licences granted since 2005 whether in a licensing round or through the open-door procedure with a 20 per cent stake.5 In addition, Nordsøfonden participates with a 20 per cent stake in the Sole Concession. Denmark has been a net exporter of energy since 1997 and is self-sufficient in oil and natural gas. For 2018, the DEA anticipates an oil production of 8.2 million m³ and a production of natural gas (sales gas) of 3.5 billion normal cubic metre (Nm³). Denmark's reserves of oil are as of 1 January 2017 estimated to 135 million m³ and of sales gas to 59 billion Nm³, both figures including contingent resources.6 The DEA's forecast7 for Denmark's self-sufficiency in oil foresees that Denmark will be self-sufficient until 2018 and again between 2023–26. If advancements in technology, exploration resources, etc., are included, it is expected that Denmark will be close to self-sufficient until 2031 (except 2019–22). Turning to natural gas, the DEA forecasts that Denmark will be self-sufficient until 2019. The inclusion of advancements in technology, exploration resources, etc., results in an anticipated self-sufficiency in natural gas until 2035 with the exception of 2020–21. Two political decisions mark the highlights of the Danish oil and gas industry so far in 2018: (1) the Danish government has decided to stop future onshore investigations and drillings for oil and gas; and (2) announced a new energy initiative, 'Energy – for a green Denmark' with the main purposes of ensuring more affordable energy and that at least 50 per cent of Danish energy is renewable by 2030. The Danish field of upstream oil and gas activities is regulated through a number of different acts, statutory orders and guidelines. The main act regulating the Danish upstream oil and gas activities is the Danish Subsoil Act8 (DSA), which is a framework act. Alongside with the Danish Continental Shelf Act9 (CSA) and the Danish Pipeline Act10 (DPA), the DSA forms the body of regulation that creates the basis for the social management and management of most raw materials, including oil and gas, in Denmark. The main acts and their key provisions, as well as the most relevant statutory orders, are set out in overview in the following sections. The DSA sets out the basic legal framework for the exploration and recovery activities concerning raw materials and hydrocarbons in the Danish subsoil and on the Danish continental shelf. Several of the provisions in the DSA implement EU directives.11 The DSA is based on the view that the exploration for and recovery of Denmark's raw materials covered by the act require comprehensive societal management. The DSA covers prospecting, exploration, exploitation, supervision as well as the Danish government's rights of purchasing hydrocarbons and any other use of the subsoil.12 All raw materials including hydrocarbons covered by the act belong to the Danish state.13 Consequently, initiation of all major activities, such as investigation, exploration and production require a separate approval from the Danish Minister for Energy, Utilities and Climate14 (DEA). With respect to the relevant European Union law, this allows the Danish government to make societal considerations, for example, and protect these through specific terms in each licensing round. Licences for the exploration and production of oil and gas may be granted through licensing rounds and since 1997 Danish legislation has also provided for an open-door procedure.15 Since 1983 areas in the North Sea have been offered to interested companies in a total of seven licensing rounds with an eighth round currently open for applications. A licence is granted on the basis of a model licence with supporting documents containing detailed terms and conditions and is an integrated part of any licensing round. A licence is considered private property in Denmark and is governed by Danish law. A transfer of licence rights in the oil and gas regime is, however, subject to prior approval from the DEA; see further Section V.
The CSA is based on the UN Convention of the Continental Shelf.19 The purpose of the act is the creation of an elaborate Danish administrative basis of the sovereignty over mineral deposits, etc., pursuant to the Convention of the Continental Shelf. Additionally, the Act21 specifically requires a permit for the establishment of power lines and pipelines for transportation of hydrocarbons on the Danish continental shelf. The Act on Protection of the Marine Environment contributes to the protection of nature and the environment in order for society to develop on a sustainable basis respecting human conditions of life and protecting vegetation and animal life. The Environmental Impact Assessment Act and the Statutory Order on OIA concerns environmental impact assessments, appropriate assessments regarding international nature conservation areas and protection of certain species in Danish territorial waters, in the Danish exclusive economic zone and on the Danish continental shelf. Certain projects related to the DSA, CSA and DPA (e.g., the production of oil) may only be initiated after an environmental impact assessment and certain other impact assessments have been carried out. See Section VI, for further information on the taxation schemes for upstream oil and gas activities. Under the Hydrocarbon Tax Act foreign persons and companies carrying out hydrocarbon activities in areas fully or partly subject to Danish sovereignty, are subject to taxation in Denmark on the income from the activity from the point in time where the activity commences. If Denmark has entered into a double taxation treaty with the country where the foreign company is resident for tax purposes, the treaty may, however, modify the Danish tax liability. Any right to explore for or produce hydrocarbons requires a licence issued in pursuance of the DSA47 based on one of the licensing methods outlined in Section II.i. The DEA has finalised seven rounds48 of applications for licenses to explore for hydrocarbons in the North Sea. The seventh licensing round covered the unlicensed area west of 6° 15' eastern longitude, including Central Graben, where most of the Danish finds have been made. An eighth round for the same area is open for applications until 1 February 2019. In addition to the licensing rounds, Danish legislation has since 1997 foreseen an open-door procedure for unlicensed areas east of 6° 15' eastern longitude. Applications may be submitted at any time between 2 January and 30 September of each year. Nordsøfonden49 will participate with a 20 per cent stake in any licence awarded. The licencing rounds and licences issued based on the open-door procedure include the model licence terms as well as a model joint operating agreement to be entered into if there are more participants in a licence. The model terms are set out by the DEA within the framework of the DSA and supporting regulation as set out in Section II.i. As mentioned, if there are several parties to a licence they are as part of the model licence terms obliged to enter into a joint operation agreement (JOA) regarding the exploration and production of hydrocarbons. The terms of the model JOA included in the seventh58 licensing round regulate, inter alia, the duration of the JOA; the obligations and responsibilities of the operator (e.g., information to the licensees, records to be kept, expenditures and change or removal of the operator); the set-up and working of the organising committee, including voting procedures; the work programmes to be performed with budgets, fees and accounting procedures; procedures in case one or more parties wants work undertaken that has not been approved by the organising committee (sole risk operations); offtake of hydrocarbons as well as regulation of assignments, encumbrances, withdrawals and defaults in payments. The JOA is an agreement between the participants in a licence and the parties to a JOA may agree to changes in the wording of the JOA provided, however, that any such change is approved by the DEA. Additionally, there are as such no restrictions on export of oil and gas produced in Denmark. With respect to the above-mentioned DPA and the general requirements set out in the Statutory Order on Access to Upstream Pipelines,61 there are no specific requirements for sales of production into the local markets. Further, the Danish Competition and Consumer Authority will apply the prohibitions against anticompetitive agreements and abuse of a dominant position in Sections 6 and 11 respectively of the Danish Competition Act. These provisions are equivalent to Articles 101 and 102 TFEU. It follows explicitly from the DSA that a licence may neither directly nor indirectly be transferred to a third party unless the DEA approves of the transfer including any terms and conditions attached to such transfer.65 Accordingly, any transfers of shares that may result in a controlling interest in a licensee or the entering into agreements that may have a similar effect must be approved by the DEA. This also applies to transfers of shares or parts in a licence if there are several licensees to the same licence.66 The DEA may only approve of a transfer if after the transfer, the (new) licensee is also assessed to possess sufficient technical and financial means and may be expected to carry out their business in such way that society will obtain as much knowledge and benefit from it as possible. The DEA may in order to approve a transfer, whether in whole or in part impose conditions on the parties to the transfer.67 The Danish state has no preferential right of purchase to licences issued under the DSA. Even though a transfer has been approved by the DEA, the transferor of a licence for exploration or production of hydrocarbons68 or a licence to establish or operate upstream pipelines69 retains a secondary financial liability for any decommissioning expenses regarding facilities existing at the time of the transfer. This secondary financial liability remains in force irrespective of the any subsequent transfers of (part of) the licence. It is always a condition for approval of a transfer that the transferor issues a statement of acceptance of the secondary financial liability towards the licence's licensees from time to time and the Danish state.70 Accordingly, no licensee can escape the financial liability for decommissioning costs. The tax regime applicable to companies engaged in hydrocarbon exploration and production in Denmark consists of a combination of corporate income tax and hydrocarbon tax combined with a special hydrocarbon tax allowance. Under the Hydrocarbon Tax Act foreign persons and companies that carry out hydrocarbon activities in areas fully or partly subject to Danish sovereignty are subject to taxation in Denmark on the income from the activity from the time the activity commences. Hydrocarbon activity includes preliminary investigations, exploration and recovery of hydrocarbons and activities related therewith, including the installation of pipelines, supply services and transport by ship and pipeline of recovered hydrocarbons. If Denmark has entered into a double taxation treaty with the country where the foreign company is resident for tax purposes, the treaty may, however, modify the Danish tax liability. 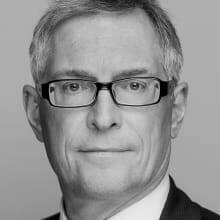 The two-string Danish hydrocarbon tax system combines corporate income tax at the rate of 25 per cent77 (Chapter 2 income) and a special hydrocarbon tax at a rate of 52 per cent (Chapter 3A income) for the income year of 2018. The overall effective tax rate for Chapters 2 and 3A income is 64 per cent for the income year of 2018. Income covered by Chapters 2 and 3A includes first-time sales of hydrocarbons, gains and losses on licences, exploration rights and assets used for hydrocarbon activities and financial income related to the activities. Income related to, inter alia, hydrocarbon feasibility studies, services to hydrocarbon companies, the construction of pipelines, services and transportation of hydrocarbons is not covered by Chapters 2 or 3A. This income is, as other ordinary corporate income, subject to the ordinary corporate income tax rate at 22 per cent for the income year 2018. 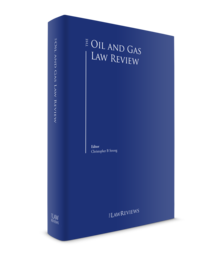 In general, expenses and tax losses not related to Danish oil and gas activities may not be offset against the Chapters 2 and 3A oil and gas-related taxable income. However, Chapter 2 losses may be offset against ordinary corporate income. As of 1 January 2014, the field ring-fence has been repealed, whereby tax losses from one field may be offset against a profitable field. Chapters 2 and 3A tax losses realised after 2002 may in general be carried forward indefinitely. A special hydrocarbon tax allowance has been introduced to ensure that the 52 per cent Chapter 3A hydrocarbon tax is levied exclusively when production from a field is particularly profitable. The Chapter 3A hydrocarbon tax allowance is an uplift of 30 per cent on the depreciation allowance of qualifying expenditures, including capitalised exploration costs and investments made in production plant and equipment. The allowance only applies to the tax basis for hydrocarbon tax. The uplift is allowed as a 5 per cent deduction per year over a six-year period and is granted in addition to the ordinary tax depreciation of plant and machinery and amortisation of capitalised exploration costs over a five-year period. As mentioned above, political agreement has been reached to reduce taxation for oil and gas exploitation in an 'investment window' from 2017–25. The agreement provides for, inter alia, a raise in the hydrocarbon deduction from 5 to 6.5 per cent and an advanced phasing for deductions. The most relevant environmental laws and regulations applicable to oil and gas activities are the Act on Protection of the Marine Environment, the DSA, the Environmental Impact Assessment Act, the Statutory Order on OIA, the Statutory Order on Alerts Regarding Pollution of the Sea from Oil and Gas Facilities, Pipelines etc.,78 and the Statutory Order on Safety Zones and Zones for the Observance of Order and the Prevention of Danger. Exploration activities like pre-investigations (for example, seismic surveys) and drilling may not always require the preparation of an EIA or other impact assessments.82 Any planned work, including well drilling, shaft sinking, driving adits and drifts, may only be initiated after obtaining prior approval from the DEA. Besides the above-mentioned authorities the DEA and the DUR, the Danish Environmental Protection Agency (EPA) is the main regulatory authority for environmental regulation in Denmark. The EPA is an agency under the Danish Ministry of Environment and Food. The Ministry is responsible for legislation and is the authority in charge of major national responsibilities as well as particularly complex tasks. The EPA prepares legislation and guidelines and grants authorisations in several areas. When working with upstream oil and gas activities offshore, it is necessary to obtain permission for each and every significant step undertaken. Environmental authorisations, as well as EIAs, may also be required depending on the specific project and its location. The DSA regulates the decommissioning of oil and gas facilities such as, for example, the decommissioning of physical structures on and offshore. The DSA includes provisions set out in the Convention on the Continental Shelf of 1958 and the Sea Law Convention of 1982. The DSA also regulates the effect of licence expiry, cessation, relinquishment or revocation. There are as such no legal requirements regarding the type of entity (partnership, limited liability company, etc.) applying for a licence. As Denmark is part of the European Union the freedom rights set out in the Treaty on the Functioning of the European Union (e.g., the free right of establishment and free movement of capital) apply in Denmark. Licences are granted after close assessment of the applications based on the criteria listed in the DSA85 and the terms and conditions stated in the licensing documents. Among these criteria is, inter alia, a requirement to demonstrate the necessary expertise and financial resources.86 There are no special requirements or limitations on using foreign companies or hiring foreign workers in connection with upstream oil and gas activities in Denmark. However, in connection with obtaining a licence for exploration for and production of hydrocarbons, companies participating in the licence must be registered with the tax authorities in Denmark and provide the necessary information for that purpose. As an alternative, companies can, for example, establish a Danish subsidiary or register a business address in Denmark. While this may appear to signal grave prospects for the Danish oil and gas industry, North Sea production is in fact given priority until 2050, as the government recognises that the green transition will take time. In the meantime, Denmark will benefit from being self-sufficient, and Danish oil and gas production is still considered to be of importance to the Danish economy. The focus on the North Sea is in line with the recommendations of the Committee for the Preparation of an Oil and Gas Strategy, which was published in July 2017. The Committee concluded that Denmark has a substantial potential of roughly three billion barrels oil equivalents (BOE) compared to the 3.8 billion BOE already produced (2015 figures) and recommended promoting investments by increasing the potential for exploitation and by reducing barriers for utilisation of this potential. Following one of the Committee's recommendations, the DSA was amended on 1 January 201889 in order to improve third-party access to the infrastructure in the Danish part of the North Sea. This entails that a licensee will be able to obtain access to another licensee's infrastructure on predictable and reasonable terms, which is expected to improve the potential for commercially sound exploitation of the relatively smaller finds of oil and gas comprising most of the Danish potential in the North Sea. The amendment to the DSA is also in line with the political agreements reached in March 201790 with the purpose of securing an 'investment window' in 2017–25 with temporary tax reductions and a full restoration of the Tyra field in addition to improved third-party access. Honouring these agreements, preparations for the restoration of the Tyra field are also currently in progress after Maersk Oil and Gas91 announced a 21 billion kroner investment in December 2017. 1 Michael Meyer is a partner at Gorrissen Federspiel. The author is grateful to his colleagues, attorney Lars Fogh for his contribution to the section on tax, and assistant attorney Hans Nikolaj Amsinck Boie for his assistance with this chapter. 2 For further information see the Danish Energy Agency's web page www.ens.dk (partly in English). 3 The first round took place in 1984, the second in 1986, the third in 1989, the fourth in 1995, the fifth in 1998, the sixth in 2006 and the seventh round concluded in April 2016. See further www.ens.dk. 4 Nordsøfonden (the North Sea Fund) is established by law, see Act No. 587 of 24 June 2005 on a public fund to manage the state's participation in hydrocarbon licences and a public entity to administer the fund. 5 Nordsøfonden does at the time of writing not participate in licences 7/86 and 1/90 (Lulita), 7/89 (South Arne), 4/95 (Nini), 6/95 (Siri) 5/98 (Hejre) and 16/98 (Cecilie). 6 For details please refer to the publication 'Resources and Forecasts' by the DEA, last released 29 April 2017, available at www.ens.dk. 7 Please refer to the publication 'Resources and Forecasts' by the DEA, last released 29 April 2017, available at www.ens.dk. 8 Consolidated Act No. 960 of 13 September 2011 with subsequent amendments. The Act was most recently amended on 1 January 2018, which introduced improved third-party access; see Section IX. 9 Consolidated Act No. 1101 of 18 November 2005 with subsequent amendments. 10 Consolidated Act No. 277 of 25 March 2014 with subsequent amendments. 11 Inter alia, Directive (94/22/EC) on the conditions for granting and using authorisations for the prospection, exploration and production of hydrocarbons, the Habitats Directive (92/43/EEC), the Birds Directive (79/409/EEC) and Directive (2009/31/EC) on the geological storage of carbon dioxide. 12 Section 1(2) of the DSA. 13 Section 2 of the DSA. 14 Lars Chr. Lilleholt was appointed Minister for Energy, Utilities and Climate in June 2015. 16 See Section 2 in the Statutory Order on the Payment of Fees connected with Certain Licences Issued pursuant to the Danish Subsoil Act No. 419 of 2 June 2005. 17 See the Statutory Order on Reimbursement of Expenses related to the Authorities' Administration in connection with Hydrocarbon Activities, No. 661 of 1 June 2018. 18 See Sections 2 and 3 of the Statutory Order on Submission of Samples and other Information about the Danish Subsoil, No. 56 of 4 February 2002. 19 Ratified by Denmark on 31 May 1963. 20 See Section 1 of the CSA. 21 See Section 4 of the CSA. 22 The pipelines are as part of the political agreement entered into regarding the IPO of DONG Energy A/S (now Ørsted A/S) to be divested to the state owned Danish TSO, Energinet.dk. The listing took place on 9 June 2016, but the divestment is still being negotiated between the parties. 23 See Section 1 of the DPA. 24 See Section 2 of the DPA. 25 See Section 2(3) of the DPA. 26 See Sections 3 and 3c of the DPA and Statutory Order No. 78 of 28 January 2018 on the payment for transport of crude oil and condensate. 27 See the Statutory Order No. 920 of 25 June 2018 on access to the upstream pipelines and upstream systems. 28 Consolidated Act No. 125 of 6 February 2018. 29 Consolidated Act No. 1033 of 4 September 2017 on the Protection of the Marine Environment with subsequent amendments. 30 Consolidated Act No. 448 of 10 May 2017 on Environmental Impact Assessment of Plans and Programmes and of Specific Projects with subsequent amendments. 31 Statutory Order No. 434 of 2 May 2017 on impact assessments, etc. offshore. 32 Statutory Order No. 657 of 30 December 1985. 33 Section 1 of the Offshore Safety Act. 34 Section 5 of the Offshore Safety Act. 35 Section 1 of the Statutory Order No. 657 of 30 December 1985. 36 See Consolidated Act No. 862 of 19 June 2014 with subsequent amendments. 37 See Consolidated Act No. 966 of 20 September 2011 with subsequent amendments. 38 See Statutory Order No. 1512 of 15 December 2017 on the DEA's duties and powers. 39 See Statutory Order No. 1512 of 15 December 2017 on the DEA's duties and powers, Section 8. 40 See Act No. 690 of 8 June 2018 on the Danish Utility Regulator and Statutory Order No. 163 of 26 February 2000. 41 See Act No. 690 of 8 June 2018 on the Danish Utility Regulator, Section 2. 42 See Section 37 (a) of the DSA. 43 The New York Arbitration Convention on the Recognition and Enforcement of Foreign Arbitral Awards, New York, 10 June 1958. 44 Statutory Order No. 117 of 7 March 1973. 45 Consolidated Act No. 1101 of 22 September 2017 with subsequent amendments. 46 Act No. 553 of 24 June 2005 with subsequent amendments. 48 The first round took place in 1984 and licences based on the seventh round were awarded in the spring of 2016. 50 The model licence terms Sections 2 and 3 with Annex 1. 51 ibid., Section 4 with Annex 2. 58 A model JOA for the eighth round had not been published at the time of writing. 60 DSA Section 17a and Act No. 354 of 24 April 2012 on oil minimum stocks with subsequent amendments. 61 Statutory Order No. 920 of 25 June 2018. 63 See Section 5 of the Statutory Order on Access to Upstream Pipelines. 65 See DSA Section 29(1). 66 A provision to this effect is also included in the model licence for the eighth round, Section 33. 67 See DSA section 29(2). 68 cf. DSA Section 5. 69 Cf. DSA Section 17. 70 See DSA Section 29a. 71 Statutory Order No. 661 of 1 June 2018 on the reimbursement of costs with subsequent amendments. 72 Cf. DSA Section 29(3). 73 Consolidated Act No. 862 of 19 June 2014. 74 Consolidated Act No. 966 of 20 September 2011. 76 I.e., for separate income under Part 2 and for hydrocarbon income pursuant to Part 3A of the Hydrocarbon Tax Act. 77 The ordinary corporate income tax of 22 per cent added 3 per cent for hydrocarbon activities for 2018. 78 Statutory Order No. 909 of 10 July 2015. 79 Under the Environmental Impact Assessment Act. 80 See Sections 28(a), 28(b) and 28(c) of the DSA and the Statutory Order on OIA. 81 See Section 35 of the Environmental Impact Assessment Act and Section 6 of the Statutory Order on OIA. 82 See generally the Environmental Impact Assessment Act and the Statutory Order on OIA for more detailed descriptions (i.e., offshore projects that necessitate the preparation of an EIA, requirements concerning the contents, other information to be submitted, procedures to follow). 83 See the DSA, Section 8. 84 See the DSA, Section 24(a). 85 See the DSA, Section 12(a). 87 See the news statement from the Danish Ministry of Energy, Utilities and Climate, released 26 April 2018, available at www.efkm.dk. 89 By Act No. 1,400 of 5 December 2017. The Act also amended the DPA with a view to improve the use of the pipeline capacity in further support of the production from the North Sea. 90 Between the government, most of the political parties in Parliament and the partners behind the Sole Concession. 91 Further to closing of Total's 47 billion kroner acquisition of Maersk Oil and Gas on 8 March 2018, the company has changed its name to Total E&P Danmark.